The ultimate purpose for God reconciling us is that we may become His holy people. The Greek word for holy is hagios (40) and is translated in the book of Colossians as saints (1:2, 4, 12, 26), as well as holy (1:22 & 3:12). Holy means to be set apart for or dedicated to God's service. The word used by the New Testament writers has the same sense as the Hebrew word kadosh, which relates to God's presence in something, some place or someone. 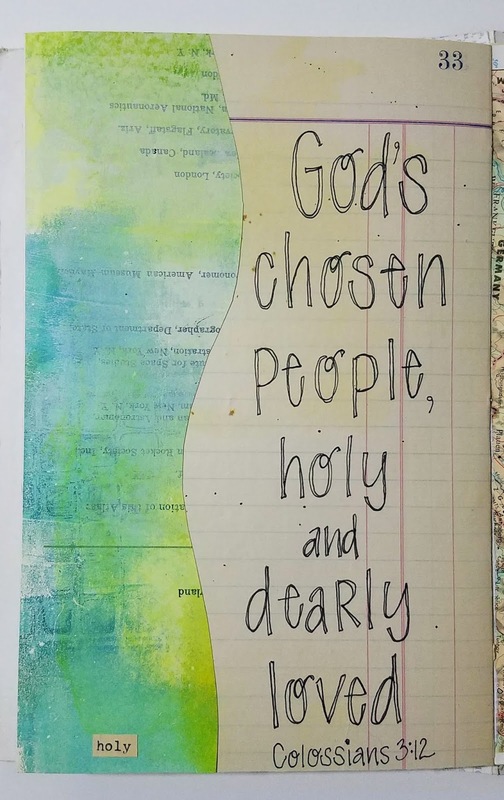 For Paul to call the Colossians "saints" in this letter has the feel of calling them into living out who they already are - those who have been made holy through Christ. As Christ followers this is who we are, it is our position before God - we are saints, we are holy. We are holy because of what God has done for us through Christ, not because of anything we have done. We don't earn holiness - we grow in it as we walk with Christ - but we can't earn it. Our position as holy is ours because of what Christ has done for us, in our place. Christ is holy; Christ in us is what makes us holy. To be holy, Paul says, is to be without blemish. This is language that reminds Paul's readers of the Old Testament sacrificial offering. "They are to present their offerings to the Lord: a year-old male lamb without defect for a burnt offering..." Numbers 6:14. Jesus, is now that sacrificial lamb, who was without blemish - free from sin. We stand in God's sight, unblemished - without the stain of sin - because of the work of Christ. We are also "free from accusation". We cannot be condemned to a guilty sentence because of our sin. "Therefore, there is now no condemnation for those who are in Christ Jesus, because through Christ Jesus the law of the Spirit who gives life has set you free from the law of sin and death. For what the law was powerless to do because it was weakened by the flesh, God did by sending his own Son in the likeness of sinful flesh to be a sin offering.And so he condemned sin in the flesh, in order that the righteous requirement of the law might be fully met in us, who do not live according to the flesh but according to the Spirit." Romans 8:1-4. In the Bible holiness has a past, present and future sense. Through faith in Christ we are holy because of what Christ did for. We rest in that accomplished work of Christ as we grow in holiness in this life, until that day when we will stand before Him completely holy. "But in keeping with his promise we are looking forward to a new heaven and a new earth, where righteousness dwells. So then, dear friends, since you are looking forward to this, make every effort to be found spotless, blameless (holy) and at peace with him." 2 Peter 3:13-14. "May he strengthen your hearts so that you will be blameless and holy in the presence of our God and Father when our Lord Jesus comes with all his holy ones." 1 Thessalonians 3:13. 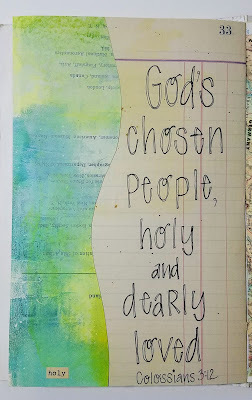 Because we are God's holypeople, we are called to holy living.